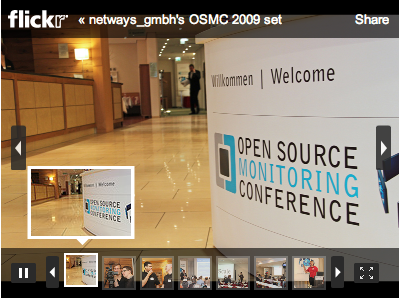 News today from the open source world includes details of the Open Source Monitoring Conference to be held in Nuremberg in October of this year. Is open source Business Intelligence a recession ‘bounce-back’ strategy? Even if you don't take books on laissez-faire free market economic theory to bed, it can't have escaped your notice that we've been going through a global economic slowdown in recent times. Google’s new music store: rocking good news or security risk? What does Microsoft think of open source? Open Source application security: do we have a problem or not?